The landscape of your home is important to you for several reasons. From a strictly aesthetic approach, you want your property to look its best, so you are proud of what you see each day. You also want your landscape at its best for financial reasons. Your landscape can help increase the value of your home and property, an important aspect if you are planning on trying to sell anytime soon. So, how do you achieve a great-looking landscape when you have a lot of trees to contend with? You take the time to find a service that offers professional tree trimming in Brentwood to do the job for you. Hopping on your computer or smartphone and picking the first service that pops up on an Internet service may not be the best solution for you. Not all companies you find today are properly licensed and insured. Many are not certified arborists that understand the needs of specific species of trees so that they are trimmed as they should be and when they should be. Take the time to call around to different services and ask questions so you are sure you get a service that will do the best job for you. While there are many places where you can find tree trimming in Brentwood, you want to make sure you ask any company you may potentially hire what services they provide when they do tree trimming. You want a company that will come out to your location to survey the work you need and provides you with insight regarding what approach they will take to meet your needs. You want a company that considers aesthetics along with the health of the tree, so you are sure you get quality results from the work. 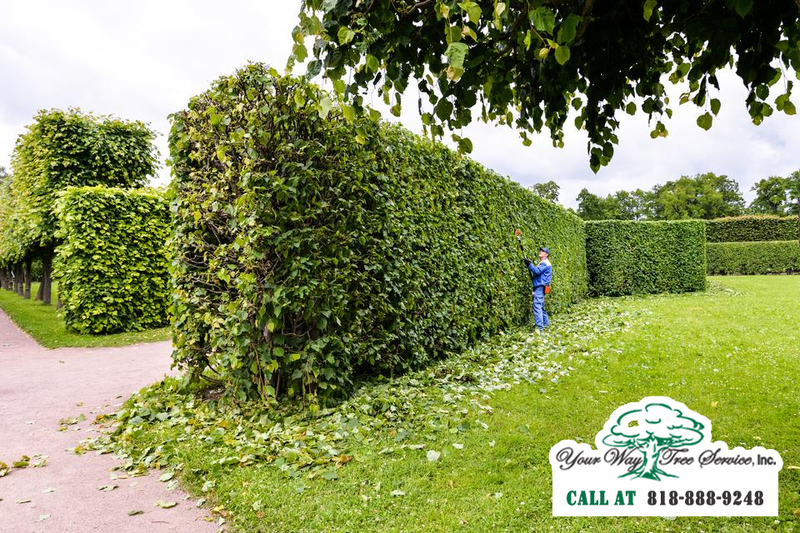 Here at Your Way Tree Service, Inc., we provide the professional tree trimming in Brentwood and the surrounding area that can help your landscape maintain the beautiful look you want. Our expert arborists will look over your trees and give you the advice and options that will help keep your trees healthy and thriving. You can phone us at 818-888-9248 to schedule time with us so we can look at your trees and provide you with a free estimate for the work so you can see the work we will do for you at a fair price.